So, stalking pinterest I found a recipe that I just had to try. Of course I had to change some things because that is how I roll. They are little bags filled with cheese and jelly, baked in the oven till they are so good you want to smack your mama. 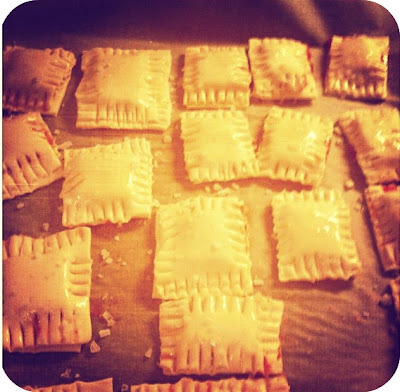 I used puff pastry for mine because I love the taste and texture of flaky pastry. So this is how I did it. Mine do not look as pretty as these, but I wasn't really trying to make them pretty; I just wanted to eat them. 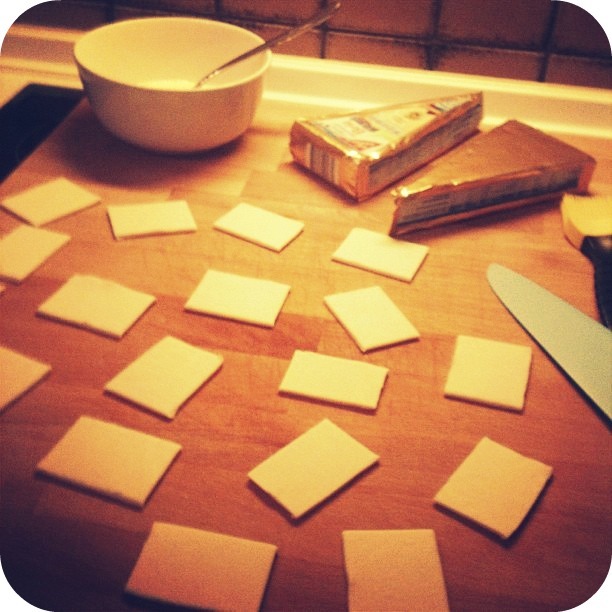 1) Cut your pastry into little squares. 2) Brush some egg on it. 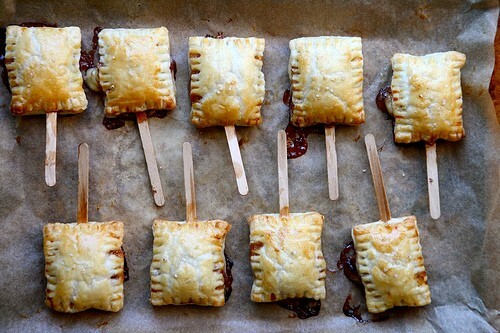 3) Place a little piece of Brie and a dollop of jelly on the pastry. 4) Cover with another little piece of pastry. Make sure that the Brie is not too big so you can still fit a lid on it. 5) Use a fork to close them, even if it means the jelly runs out. 6) Brush on more egg and throw some sea salt on them. 7) Put them in the oven. I had to bake them for 20 minutes, but that is because I used a different pastry. 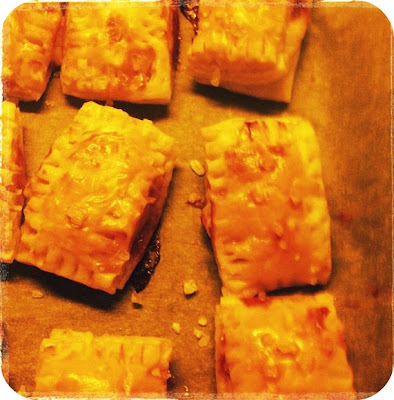 The next time I make these I will use a sharper cheese, something with a little more zing to it. I liked it with the Brie but I think with a different cheese these could be even better. Make sure to put on the salt because without it, they would have been bland. You can also spice them up by using a jelly with a little zing and sticking with the Brie. So give it a try -- they are so worth it! I used to be a shirt. I shall call them my Lucky Boots!! !